Including Optical Coherence Tomography, Pachymetry and Optomap - ultra-wide digital retinal imaging. 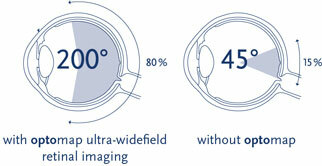 Enhanced optical coherence tomography - providing a 3D cross sectional scan of your retina, very similar to ultrasound. OCT uses light rather than sounds waves to illustrate the different layers that make up your retina. 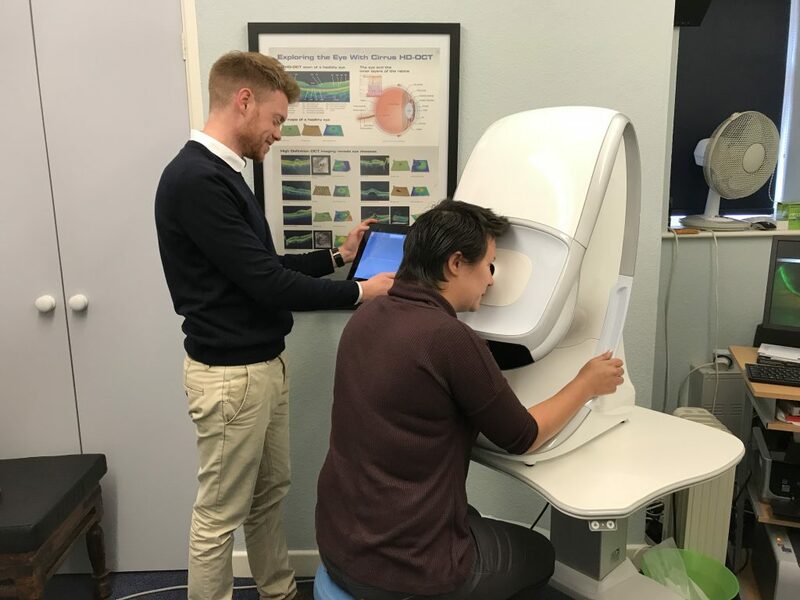 Pachymetry - where the thickness of your cornea is measured for more accurate intraocular pressure measurements for glaucoma assessment. 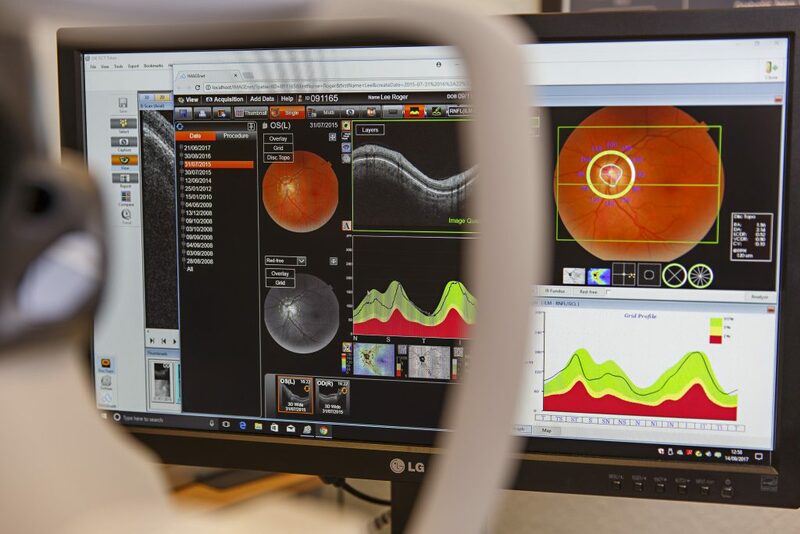 Optomap - providing ultra-wide digital retinal imaging. It captures more than 80% of your retina in one panoramic image. The traditional methods typically reveal only 10-15% of your retina at one time. All these examinations are completely painless, non-invasive and simple and quick to perform. 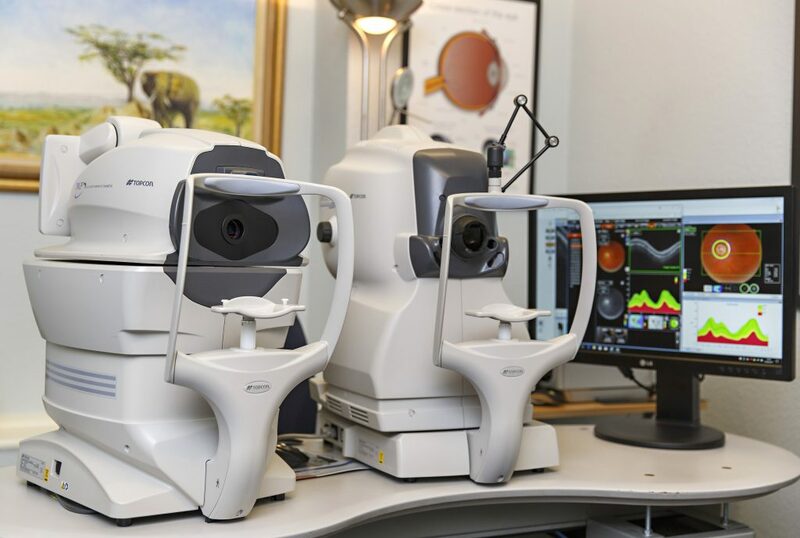 At Roger Lee Optometrists, we believe that whatever your eligibility you should have the most comprehensive examination we can offer and would recommend the advanced eye examination for all our clients.